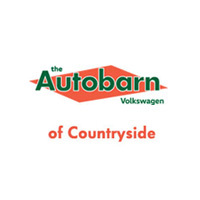 Why Buy the New Volkswagen Passat 1.8T SEL Premium from Autobarn VW of Countryside? The new Volkswagen Passat will win you over with a spacious cabin and high-quality safety features for your family’s protection as you drive around La Grange. Our dedicated sales team will answer any questions you have, and our finance department will help you get the finance plan that fits your monthly budget. Our service center will have you taken care of for years to come with timely repairs and affordable maintenance near Downers Grove. Call us today to schedule a test drive, and don’t hesitate to contact us online if you have any questions!